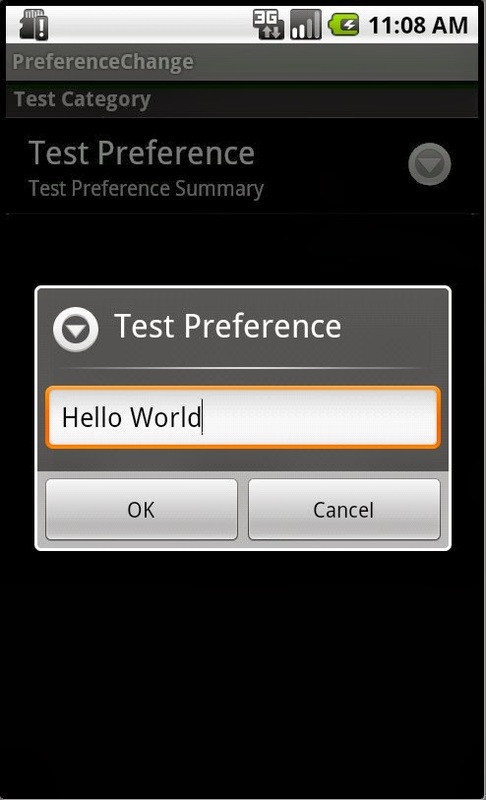 In Android applications, there are scenarios we need to listen for changes to preferences. For example, a main activity would like to refresh itself based on a change in preference. Android provides the OnSharedPreferenceChangeListener which would help in achieving this. The following example demonstrates the preference change listener. Implement a preference change listener in the main activity. Preferences XML looks as below for the above listener. We have a “test_preference_key” whose changes this activity is interested in listening. Create an object of preference change listener and register for change notifications in onCreate method of the activity. Un-register the preference change listener in the activity onDestroy method. The complete example can be downloaded from here.